The entrepreneurship journey of Meeta Nagpal is quite motivating. Founder of Musical Dreams, Meeta Nagpal is a classical Kathak dancer and now the promoter of Musical Dreams- a talent management academy which identifies the raw talent, nourish them and provide the right platform. A Delhi-based working woman who could not achieve her dreams due to lack of exposure and opportunities is now supporting others upcoming talent to fulfill their dreams and make their name in the industry. In her 6 years of journey, she has groomed many talents from the scratch who have performed in many realty shows and are making their mark nationally and internationally. Recently, she had conceptualized and created unique platforms including Indian Band League (IBL), and Take the Stage to support and promote the stars of tomorrow. In an exclusive email interaction with The Motiverge; Meeta Nagpal, Founder of Musical Dreamstraces her journey as an entrepreneur and tells more about her initiatives. Founded with the vision to provide training grooming and platform and work to upcoming and aspiring artistes, Musical Dreams is an Artistic Development Academy & Entertainment Production. It was founded with the vision to provide training grooming and platform and work to upcoming and aspiring artistes. It’s a talent management academy which identifies the raw talent, nourish them and provide the right platform. At present, there are 100 students at the academy. The platform aims to promote new talent while providing them work opportunities. Since its inception in 2004, Musical Dreams has emerged as one of the most preferred agencies for performing arts management & production in India and abroad. With a portfolio of diverse range of artistes along with the in-house teams of ‘Dance Collective’, ‘Singer Collective’ and ‘Music Collective’, we specialize in providing a wide range of performances for various kinds of live and broadcast events. Joining the Musical Dreams’ pool of talent provides professional level training and workshop in Dance, Music, Singing and Acting to the talented artistes. Musical Dreams is not just an academy or production house. It is a place where artistes of all fields come together to learn and share at their own pace and space, and create something close to their heart. The journey at a glance! At Musical Dreams, we have been able to groom many talents from the scratch who have performed in many reality shows and are making their mark across national and international platforms. These include Mansi Bharadwaj (Playback singer Maruti Mera Dost & I am Kalam, Indian Idol Season 9 Finalist), Stuti Tiwari (India Idol Season 9 Finalist), Aishwarya Anand (The Voice), Koushal (Dance Plus and India Got Talent), Alankar Mahtolia & Rashmit Kaur (Asia singing Super star), and Nazim ( Sa Re Ga Ma Pa) to name a few. Over these years, we have successfully conceptualized various domestic and coordinated international musical events in Australia, New Zealand and Fiji Islands and many other countries. We have also coordinated several shows for US, UK, Canada, France, Argentina, Spain and many other countries. Indian Band League is a first of its kind virtual (online) battle for music bands to promote the budding artists of the country. More than 100 bands had participated in this music league and mesmerized the audience through their original voice and lyrics. The major objective of IBL is to provide platform to hidden talent and upcoming artistes. Dedicated to the performing arts, Take the Stage is one of the most democratic of all cultural forums today. The event focuses on all genres of music and dance, and is open to performers from all age groups. Earlier this month, the sixth edition of this event was hosted in Delhi, showcasing, as always, unmatched talent with a series of outstanding performances. 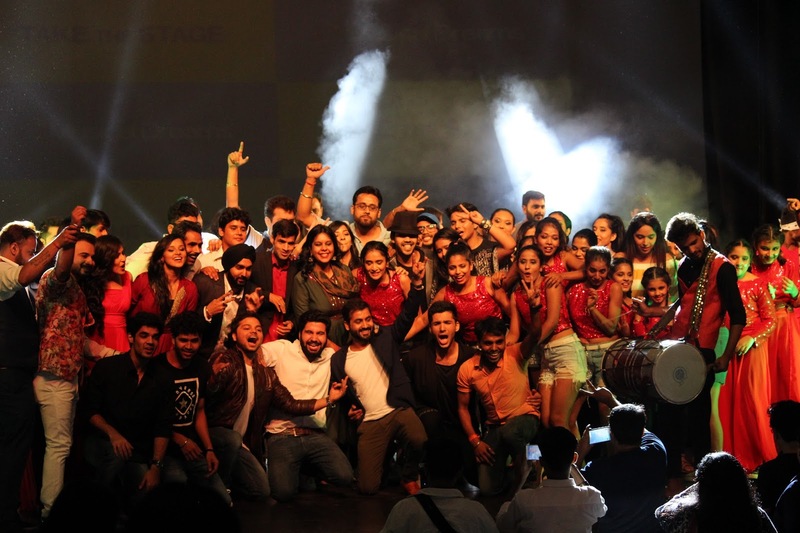 The motto of Take The Stage is ‘freedom of creation’, and the objective is to instil the spirit of teamwork and mutual support among contemporary Indian artistes. The journey so far has never been so easy, but at the end of the day we’re all winning when we realize that somehow and somewhere, we are providing a huge platform to hidden talent and upcoming artistes. We will continue to work dedicatedly to promote and polish raw talent in an innovative way that will help them achieve their goals. Being a positive person, Meeta Nagpal gets inspiration from everyone around her. Her hobbies include, meeting people, learning about people, and creating new avenues.